Save Up To $100 On A New Set Of Tires. Rate and review Tri-State Auto Diagnostics in Dubuque, IA, United States! 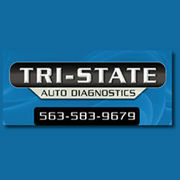 Share your experiences at Tri-State Auto Diagnostics with your friends or discover more Auto Repair in Dubuque, IA, United States.